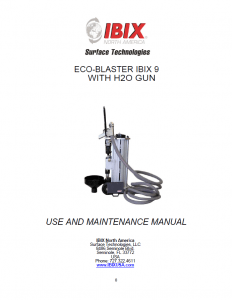 IBIX Precision Wet & Dry Blasting | Gonneville Inc.
IBIX® portable cleaning is the premier, versatile, economical blasting system in the industry. Lightweight aluminum allows for easy portability in all types of locations. 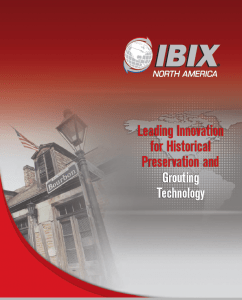 IBIX® 9 features dual action wet and/or dry technology designed for hard to reach work spaces. 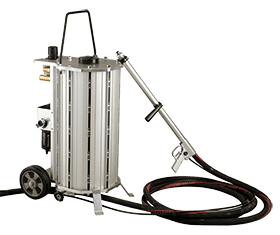 Perfect for a wide variety of applications, pre-paint preparation and cleaning surfaces, the IBIX® 9 delivers a perfectly consistent air and media flow and notably require only one operator. IBIX® 9 H2O has been used by the shipping industry consistently for over 10 years and is International Ship Builder approved. 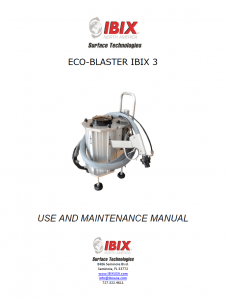 IBIX portable cleaning is the premier, versatile, economical blasting system in the industry. Lightweight aluminum allows for easy portability in all types of locations. 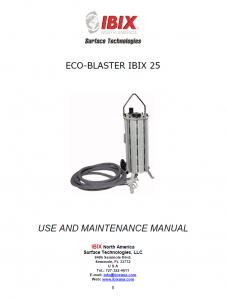 IBIX 25 features dual action wet and/or dry technology designed for hard to reach work spaces. 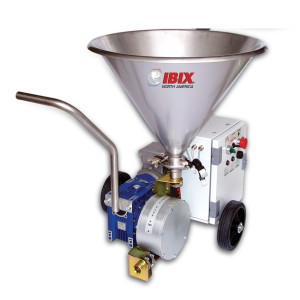 Perfect for a wide variety of applications, pre-paint preparation and cleaning surfaces, all IBIX® units are a one-man operation with a quick-click nozzle for maximum versatility that saves time and money. They are user friendly and deliver a precise, consistent, even air and media flow for a smooth surface finish with very low air volume requirements. Minimal dusting improves health and safety for the operator and the environment. 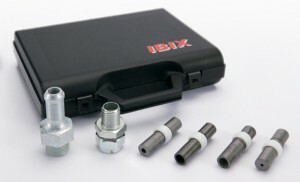 IBIX® provides the ultimate power in a small package. Lightweight aluminum allows for easy portability in all types of locations. 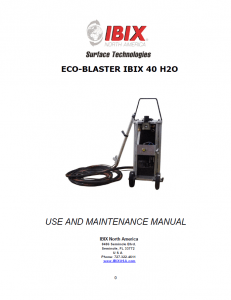 IBIX 40 features dual action wet and/or dry. 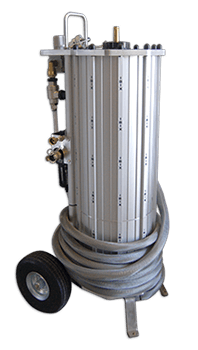 Perfect for a wide variety of applications, pre-paint preparation and cleaning rust, corrosion, debris from virtually any surface, all IBIX units are a one-man operation with a quick-click nozzle for maximum versatility that saves time and money. They are user friendly and deliver a precise, consistent, even air and media flow for a smooth surface finish with very low air volume requirements. Minimal dusting improves health and safety for the operator and the environment. Introducing the newest in our excellent line of products, the Hi-Pro 60 is the largest, most powerful system yet for heavy-duty industrial environments. 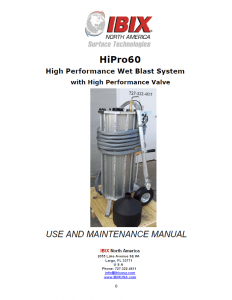 This powerhouse retains the ease of maneuverability while delivering the ultimate wet or dry blast system. Our turbo system provides twice as much power consistently. The industrial tires are perfect for rough terrain and challenging on-site projects. It comes with an oversized media funnel for larger projects. Many of our customers find that different sizes of our pods are more suited for particular projects but no matter what the job or size project, we have a unit to fit. 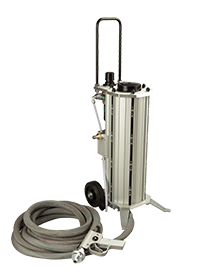 All are constructed of lightweight aluminum and offer a one-man easy to use operation with a quick-click nozzle for maximum versatility that saves time and money. Dimensions | Weight (dry) 36x30x56″ | 145 lbs. Nozzle Size | Hose Length 15 mm/0.52″ | 30 ft. 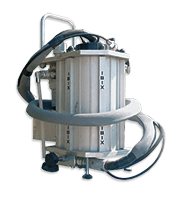 Including the only patented Hydro-SEP is a centrifugal moisture separator that takes humidity out of the air flow naturally and improves the performance of your abrasive and provides a smooth, consistent air flow. 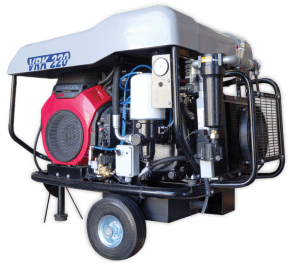 The 70 cfm dry air production system, with multi-port hose connections, is very quiet for urban cleaning (72db). It is a perfect match for IBIX 9 and IBIX 25 units. 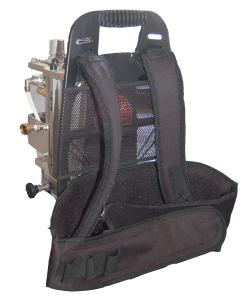 IBIX backpacks connect to the IBIX 3 H2O for the ultimate in convenience and maneuverability when working overhead or in small spaces. 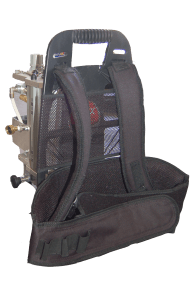 Particularly useful for working on ladders on fire remediation, historical preservation, off-shore and on-board ships. Also great for antique furniture, collectible automobiles, metal work and spot cleaning. Practical for on-site repairs and safe for operator. 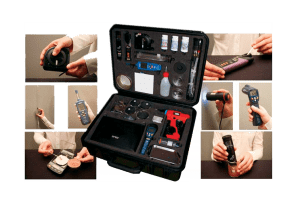 IBIX® has developed a Mobile Lab Kit to support on-site evaluation of surface analysis so architects and contractors have immediate feedback to make qualified decisions using our equipment. In the past, this analysis would have taken up to 8 weeks in an outside LAB. Now a report can be printed immediately to speed up the conservation decision making process. An invaluable tool for reaching tight spaces such as attics. Imagine the time savings for an operator with an additional 3 ft. reach for working on ceilings. Simply covering more surface area in less time. Particularly useful for working on ladders on fire remediation, historical preservation and onboard ships. 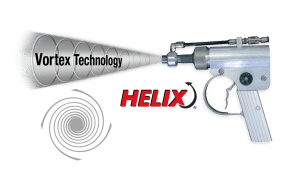 The patented HELIX® Gun uses a gentle, helical rotary movement considerably reducing the volume of air and media required to cover the same surface area as traditional blast equipment. Maximizing effectiveness while minimizing damage to delicate surfaces. The use of special wear resistant Tungsten steel produces a nozzle that stands out for it’s durability and longevity, even when using extremely hard abrasives. Compared to traditional nozzles, the new generation HELIX® maintains the uniform action of the spray and allows the operator to work from a greater distance, minimizing evasiveness to the surface. 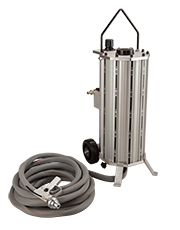 The Easy Grout is the only multi-purpose battery operated grouting machine. Testing by an independent, reputable US restoration firm proves that our equipment speed’s grouting process is 40% over traditional methods. 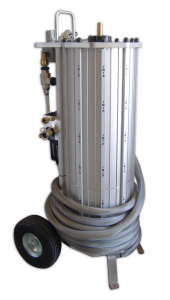 It is lightweight, compact and easy to operate and designed for industrial, commercial and architectural applications. This is the perfect tool for working on scaffoldings. Easy Grout is even approved for historical preservation and is also suitable for filling grout facades of brick, stone or rock. There are three nozzles options for different applications; one for injection, one for micro-injection and one for pumping and spraying. It is suitable for using cement compounds, premixed or custom mortars, epoxy, glues, resins, polyurethane and more.